Technology As A Fire Hazard? Toy recalls have been on my mind lately. I talked to the New York Times about my garage full to toys ready to sell that I can’t because of the recalls. Marcie from the Chicago Moms Blog posted about lead free toys including a Facebook widget that lists them. But it was Jodi from the DC Metro Moms Blog post that helped me understand that toy recalls can extend to technology gadgets. work for a fair, just, and safe marketplace for all consumers. 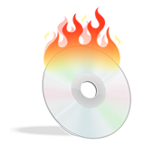 When I checked the site I found a Coby Electronics DVD/CD/MP3 player that can overheat – causing a fire hazard! So while spending time figuring out what technology gadgets to buy for the holidays, also check to make sure they are not on the recall lists. "Fire hazard" may not be on the product specification sheet.